Every School aims at motivating students to do well and get good grades. The common goal for teachers and parents is not only getting their children to get excellent grades but also learning in order to use this knowledge in real life. Achieving this can be turned into a ‘fun mode’ by rewarding students with badges! Badges are a very innovative way to motivate, cheer and bring the element of competitive spirit into the learning system. Children love to show off the badges they have earned through the process. Children with award badges motivate fellow children to work towards it and earn more badges. Badges encourage students to try harder and think outside the box. Badges are an attractive reward and who wouldn’t love to be rewarded and given something to wear that shows off their achievement? Teachers can list the targets they want the students to meet and reward them with certain badges! List specific activities you want your students to complete.Once the student is successful in this he will be rewarded with a beautiful badge! You can create a few badges for doing something completely random but still in line with the class curriculum. It might be an assignment or a project work. It can be something that helps students to put additional effort to learn the subject. Apart from the day to day tasks, some targets are hard to accomplish. When a student achieves something extraordinary, another special badge can be awarded. This is an innovative way to push students to work harder and to do things in unconventional ways. We at i4c Publicity Ltd are pioneers in manufacturing personalised award badges since 2000. We have been supplying a range of clients in the education, charity, corporate, private and public sectors. 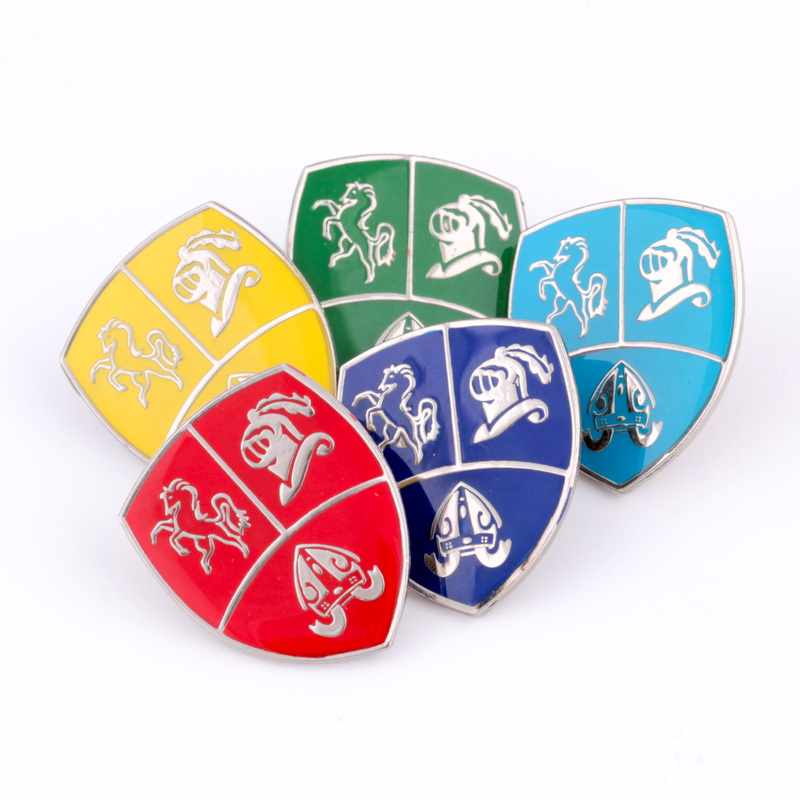 We can also offer various fittings for badges such as Brooch Fitting, Clutch pin fitting, Stick pin fitting, Magnetic badges, Adhesive backing, key chain fitting, tie slides, cufflinks / T-Bar fitting etc. If you are a School looking for ideas to reward students, look no further! We can help create bespoke badges for you. Get in contact with i4c Publicity Ltd on 024 7666 7440 for a FREE no-obligation quote. Take a look at our Product Gallery and click here to order your custom award badges!